«Made in Switzerland» stands for innovative technologies and excellent material and service quality. Thermoplan has always been a driver of innovation in the development and manufacturing of fully automatic coffee machines. 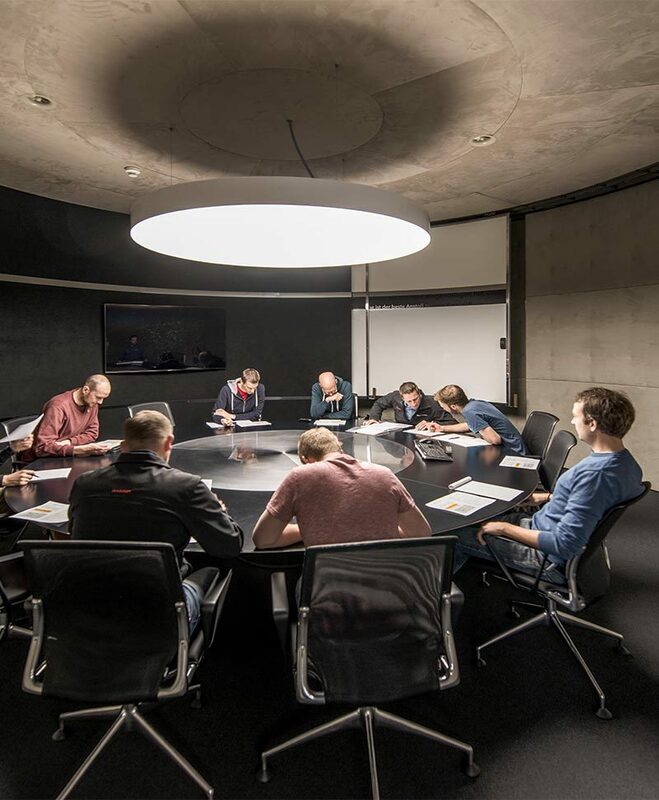 In the company’s own innovation center more than one fifth of the total Thermoplan staff works on new and further developments. Combined with Swiss precision work solutions are created which meet the needs of our customers and with broad market acceptance. «Swiss Quality Coffee Equipment» deserves premium-class service. Thermoplan has a global distribution and service network with competent consultation and comprehensive services. The certified distribution and service partners have extensive knowledge and guarantee the shortest response times thanks to their close proximity to the market. Quick delivery of essential spare parts and hands-on, on site consultation guarantees maximum productivity and therefore long-term success in the market. Our new telemetry system keeps you informed at all times about the performance of our Thermoplan fully automatic coffee machine. With ThermoplanConnect your machine communicates with you and vice versa. 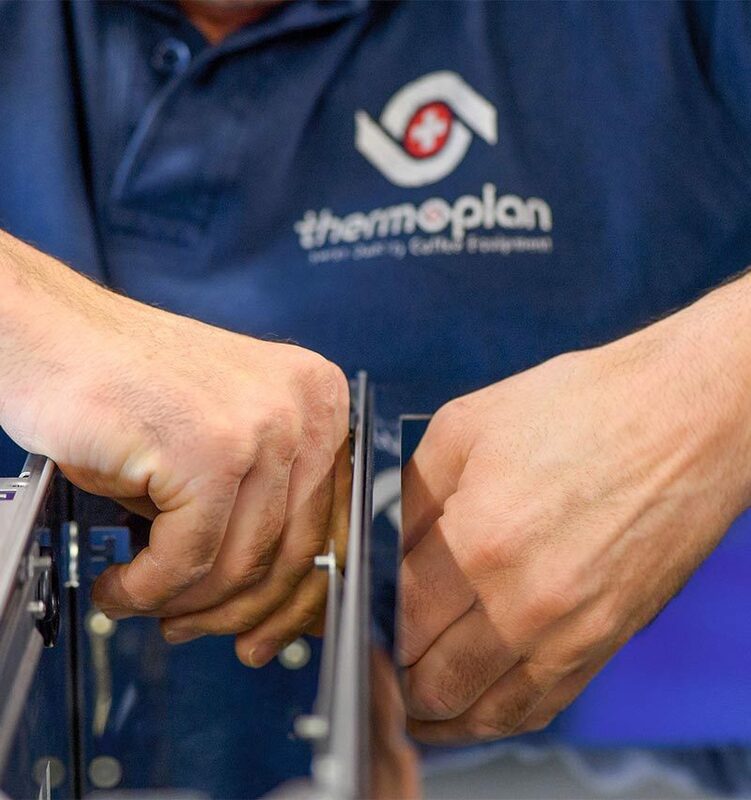 Service and maintenance made easy: All device functions of Thermoplan fully automatic coffee machines are set up into modules. Simple and quick replacement of the machine modules guarantee minimum downtime and maximum productivity. Creamy and smooth, fine-pore, stable milk foam in perfection: With your Thermoplan coffee machine with integrated milk unit you benefit with each cup from our market-leading milk foam know-how. Thermoplan comes directly to your door, world-wide: Together with more than 200 certified distribution and service partners we respond to the needs of our customers in 72 countries.